Weekend Open Forum: Is spam still a big problem for you? Have you noticed any less spam in your inbox lately? 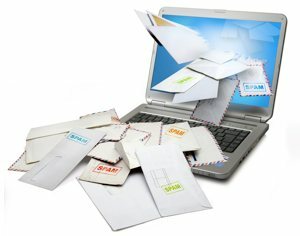 You should, according to Symantec Intelligence, which claims the volume of junk mail sent worldwide has dropped around 80% over the past year. A large part of this came from the demise of affiliate networks paying for spam campaigns, such as Spamit, and coordinated efforts between the tech industry and law enforcement to kill major spam networks such as Rustock. To be honest, Gmail's spam filter does a highly effective job of filtering out the garbage from my personal email account, so spam hasn't been a huge problem for me in a while -- though my TechSpot inbox still lets a few shady messages slip by. But we want to hear your experience: is spam a big issue for you? If so, how much of your daily email comes from unsolicited sources? Do you use custom filters or special software to keep your inbox free of junk?